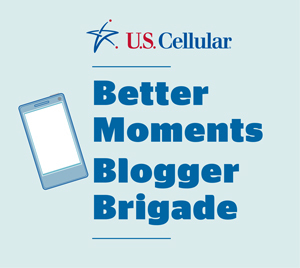 FTC disclosure: I am a member of the U.S. Cellular Better Moments Blogger Brigade. This is a sponsored post. The holidays are coming! That means Black Friday and Cyber Monday are closer than you think! A few years ago on Black Friday I saved over 90% of the original price on the items I bought with a lot of time and effort. I'm glad, though, that this year I have a phone that will help with my shopping so I can save time as I save money that way I can put lots of gifts under the tree without going over my budget. Did you know that mobile shopping accounted for 16% of purchases last year and is expected to hit 20% this year? A recent U.S. Cellular survey showed 39% of smartphone owners use their device for shopping! One thing I like about using my smart phone is I can be ANYWHERE and checking on prices of items. I have checked on prices of items from my own living room to looking them up while seeing an item in front of me in a store to make sure I'm getting the best price possible. While I have never used an app for Black Friday shopping, there are a few I am definitely going to download and use this year. 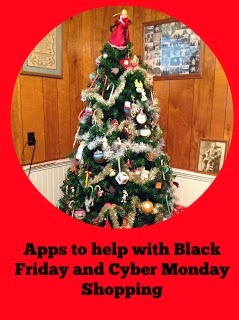 The first is appropriately named "Black Friday App". It allows price comparisons of online and in store prices, has leaked ads as well as official ads. This will save time as well as money! Secondly, Cardstar is perfect. I have so many store rewards cards and keep getting more. My boyfriend's family lives a few hours away and I often pick up things at the grocery stores in that area which are unavailable in my region -- or just too expensive. I can buy no salt added canned vegetables in that area for half the price with a reward card, but it means double the rewards cards. I have dozens on my keyring because it seems every place wants them now. Grocery stores, gas stations, even my library, and not to mention pharmacies (which often have fantastic deals on Black Friday and few people think of doing shopping there!). Using Cardstar will allow me to conveniently pull up my rewards number without fumbling through dozens of cards and taking extra time at check out! Third, I have used Amazon Mobile for well over a year. I'll tell you a secret . . . I actually upgraded to a smart phone a few years ago so I could have access to Amazon Mobile to see what things were selling for online. It's an amazing app and I can order something from anywhere. In fact, a couple months ago my mother was lying in her hospital bed and asked me to order something. I pulled it up on my phone, I asked her to confirm that was the item she wanted and I told her, "It will be here in two days." She was slightly confused, but I explained that with my phone I was able to order right then and there without leaving her side. I have even purchased a product from my Amazon Mobile app while in a big box store because I have looked up the price and it was much cheaper at Amazon. Don't forget that mobile devices are popular Christmas gifts. U.S. Cellular has debuted the iPhone5, iPhone 5c, and iPad Air with both WiFi and Cellular. Beginning November 8th, they have introduced 4G LTE with a variety of data options allowing U.S. Cellular customers to connect to the internet 10 times faster than 3G! (That's fast!) Be sure and use this link to help you decide if the iPhone 5 or iPhone 5c is the best option for your needs. I'm going to have a Mobile, 4G Christmas using my Samsung S4! You can too! Using Amazon Mobile is a great idea, maybe they will price match items as the go live at stores, then I'd go with them, because I always have amazon giftcards on my account. One app I love for everything is Cozi. 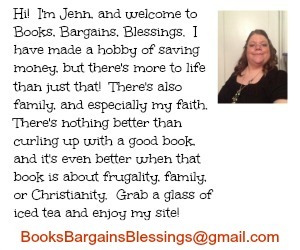 I really need to make a list on there for the stores I am wanting to go to, the times sales go live, and which items I am going to be looking for. I have a tendency to forget things otherwise.